A beautiful 3 bedroom, 3 bathroom town home w/NO monthly HOA's, on one of the BEST cul-de-sac streets in LP. 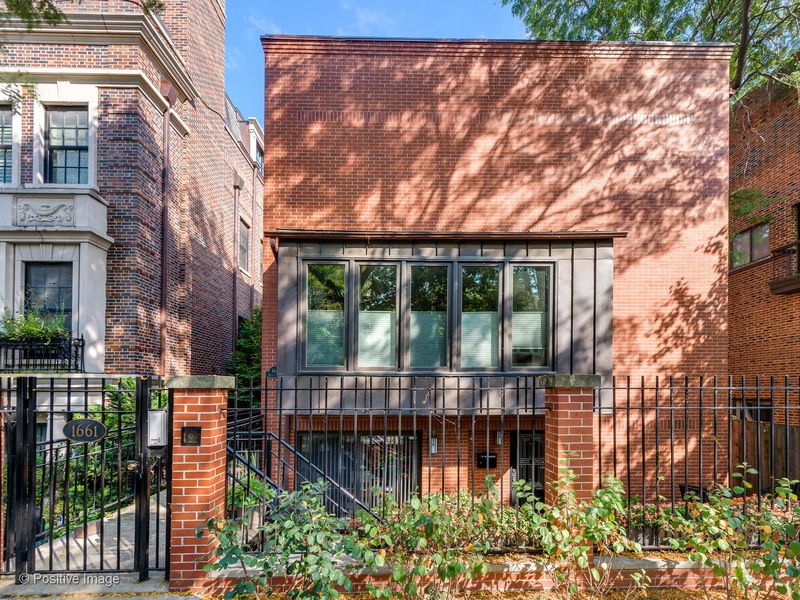 This 3-story all brick home has a private entr. & is the ONLY unit to have over 600sq ft of PRIVATE rooftop & skydeck space w/ city views which makes it perfect for outdoor entertaining. Main floor is flooded w/north & south light. Open floor plan w/ spacious dining & living room w/ gas fireplace & dark hardwood floors. Kitchen has granite island, Viking prof gas range & stainless steel appls. 2nd floor features: master bedroom ensuite w/ spacious walk-in closet, the 2nd full bath & the 2nd bedroom, den, office or nursery. Third flr has a great entertainment rm w/ east, south & west light. Third bedroom, full bath & large walk-in closet are located above ground along w/ separate large laundry room. Private garage. Walk to New City Center, Halsted/Armitage, dining & theater, Red/Brown lines, Mariano's. EASY to Show! Priced to SELL! Property information last modified by seller on Monday, October 22, 2018, 12:25 PM CDT. Information Deemed Reliable But Not Guaranteed. Unauthorized duplication, use, or linkage is prohibited. The information on this web site is for personal, non-commercial use and may not be used for any purpose other than to identify prospective properties consumers may be interested in purchasing. Monthly Payment Calculator results are for illustrative purposes only, not a financing opportunity; calculations assume a 30-year fixed-rate mortgage and do not include closing and other costs. Property Tax on NEW properties is estimated at 1.5% of Listing Price for payment calculation purposes; actual value may be higher or lower.